How the Nigerian Military Found its Mojo Back !! The Nigerian military for decades was considered one of the best equiped and capable fighting force on the continent. It emerged victorious in the bloodiest civil war Africa has ever witnessed. When it became obvious that despite French support to Biafra sepresionist, Nigeria’s Federal forces were certain of victory the French began the process of creating an economic, cultural and political alliance of centred around France. In other words – Vassals. Less than a decade after the end of Nigeria’s civil war a quasi Francophone economic block was created. These countries adopted the France as a common currency and kept all their reserves in dollars in French treasuries and mandated these mentally brainwashed people into paying “colonial taxes”, a practice that persists today. Nigeria was not gonna have that in West Africa. Worried about the potential of France having a foothhold in West Africa via Senegal and Gambia, Nigeria responded by creating an Economic, political and military alliance -ECOWAS, creating the largest economic and military alliance on the continent to date, gobbling up French speaking Senegal , Gabon and Gambia into the union, much to the chagrin of Paris. Maritime and territorial disputes with its French speaking neighbors spurred the Nigerian government to build up one of the most powerful and feared military machine the region has ever seen. The training and the discipline of the Nigerian army made it the most feared army in West Africa. The much vaunted Chadian army that brought the Libyan army to its knees and conquered southern parts of Sudan, were torn to shreds by the Nigerian army when they made similar incursions into Nigerian territory and islands in the Lake Chad basin, and for the next two decades the Nigerian Army was the guarantor of peace, stability and democratic governance in West Africa. The military thrived in the intervening years. Under General Sani Abacha, a large part of the Petroleum Fund went to the armed forces. It had a somewhat thriving domestic weapons industry. Aircrafts like the air Beatle were made in Nigeria. The demise of Nigeria’s Head of State, General Sani Abacha in 1999 gave Nigeria the opportunity to become a democratic state. History was made in 29 May,1999 with the hand over of power from the military to civilian government. For the first time in 40 years one of Africa’s most powerful military came under the command of the civilian government. 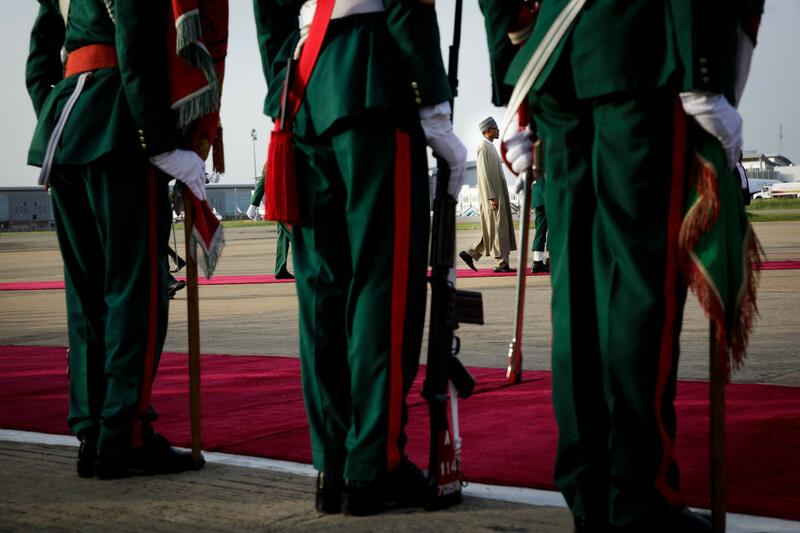 Nigeria’s President became the Commander and Chief of the Nigerian military. Nigeria used to be respected at the United Nations as a beacon of leadership in Africa. That giant stride evaporated less than two years after the new civilian leadership took the helm. Paranoia over a potential military forceful takeover drove the Nigerian government to decimate the armed forces on an unbelievable scale. Four hundred of Nigeria’s best commanders were forcefully retired under the guise of ” military reform”. Pre-ordered acquisition of aircraft and heavy amour was cancelled, the few aircrafts the air force had were packed and locked up in storage warehouses. Artillery brigades, once the halmark of the Nigerian army was cut by a third. The result needless to say has been disastrous. On the bright side, anti- corruption campaigne, that led to the firing of the service chiefs of the army navy and airforce, as well as a massive weapons aquisition program by Nigeria’s newly elected President Muhammadu Buhari has brought rapid transformation in the Nigerian military. Perhaps no surprise. As the Commanding Officer of the Nigerian army 21 amoured brigade, the Then General Muhammadu Buhari was given the task of flushing out the invaders. He personally led his men into battle where he proved to be a brilliant tactics. His recent presentation at the United Nations wasn’t only brilliant, the reception of his incorruptible leadership and roles in Africa is a welcome development in the international community. The world is beginning to have respect and confidence in our country again. 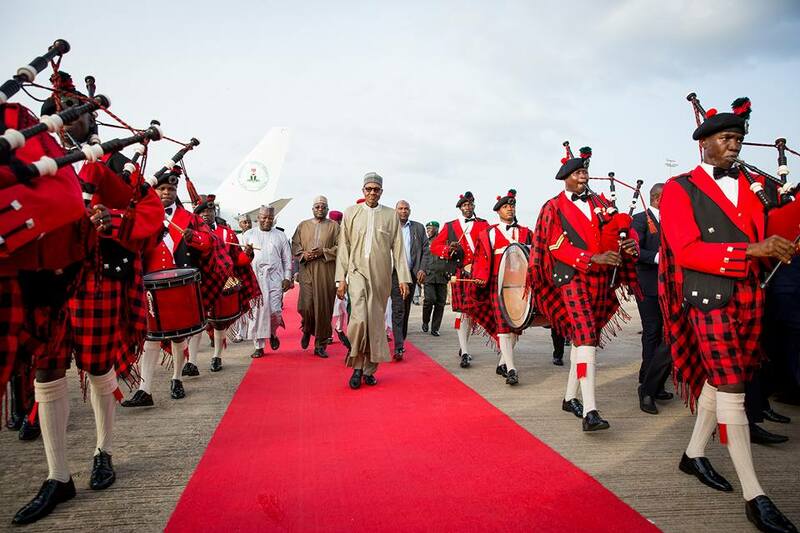 In my humble opinion, President Buhari is perhaps the most incoruptable leader Nigeria has had in its modern history. Now there are many who beg to differ, moreso going by the recent economic downturn, lets leave that argument for another day. But credit should be given when deserved. This president is responsible for the complete turnaround of the war and technical defeat of Boko Haram. The first executive action the President took was to fire the service chiefs. It should be noted he fired the service chiefs and launched an anti corruption investigation into the army and airforce before moving into the presidential villa in Aso-Rock. This is LEADERSHIP! The calibre of appointees President Muhammedu Buhari has made in sensitive areas reflects his innate persona and leadership qualities. They are usually honest, strict, thorough, focused and brutally blunt in the performance of official duties. This is no PDP vs APC motivated, they cut across party lines. In just two years the present breed of Service Chiefs were elevated to such positions of service, the Nigerian military has proved in soul and spirit of its messianic mission. It has redeemed and reclaimed Nigeria from dark forces and every step of this success is largely the sterling leadership qualities and engagement of the tripartite arms of the Nigerian military by the Chief of Defense Staff. Unlike before, inter service rivalry have been thrown out the window. The Nigerian Air Force makes frequent use of the Navy’s ATR-42 maritime patrol plane. In return when, When the Nigerian Navy tackles militants and armed criminals on the high sea, the Nigeria Air Force under the Chief of Air Staff (CAS) Air Vice Marshal Sadique Abubakar supports the efforts with airstrikes where necessary, a perfect illustration of the smooth synergy among the Nigerian military. Last month we were greeted to news that the Nigerian economy has finally pulled itself out of its economic recession with a %1.4 GDP growth. This economic rebound is as a consequence of the proactive and relentless actions of the military in protecting the oil wealth of the nation. Without a strong navy and efficiently run navy Nigeria cannot protect its oil wealth. This man is an exact replica of President Buhari’s disposition towards leadership. As CDS, it means his input and influence is required by each and all arms of Nigeria’s Armed Forces to achieve the highest level of national security and the field operational competence of the military. He recognises that Africa looks unto the Nigeria’s military as source of inspiration and where Nigeria fails, it is a loud statement about the presumed failure of the entire continent. Under the CDS’s watch, the different arms of the military enjoy a seamless synergy and field operations harmony with just one goal in mind – Crush the bastards. Nigerian troops threw away their trench digging shovels and took the fight to the enemy where ever they may be, if it meant going to the 66,000 sq km Sambisa forest, SO BE IT ! While Buratai’s ground troops moved against terrorists with fearlessness, raining down artillery shells at targets with military precision, the Nigerian Air Force complemented the efforts with airstrikes on Boko Haram abodes and hideouts. The Nigerian army under the new Chief of Staff Tukur Buratai, with the active support of the office and skills of the Chief of Defense Staff, the counter-insurgency campaigns recorded a resounding victory within record time as directed by President Buhari. The CDS, Gen. Olonisakin has always been an integral part of the planning and execution of the strategies and tactics that humbled and eventually defeated Boko Haram insurgents. Now we might not agree on certain points, our political affiliation may differ, but the Buhari administration tough stance on corruption as well as improved training has re-oriented the Nigerian military to perceive their special assignments as collectively working for national security. He famously moved the operational headquaters of the war against Boko Haram from airconditioned offices in Abuja to the frontlines with the troops in Maiduguri, and gave his Service Chiefs a three months deadline to defeat Boko Haram. Now of course we all knew it couldn’t be done in such a to frame, but it was powerfully symbolic, it gave the war effort a sense of direction. The decimation of Boko Haram, the brutal suppression and massacre of the Shia muslim Boko Haram wannabe agitation in north and the high handed and disproportionate use of force against Biafra secessionist is testament to the fact that no matter how controversial, Nigeria’s president is intolerant towards actions that threatens the unitybof the country and will do what it takes for the preservation of Nigeria’s sovereignty and territorial integrity. This inculcated values ensured the operational co-operation among troops, which was very instrumental to the reclamation of all of the Nigerian territories annexed by Boko Haram terrorists. Today, Africa and the world celebrate Nigeria for wriggling out of very complex insecurity problems. These were insecurity problems that had the potency to explode into a major national crisis, as experiences in countries with less of such problems have indicated. But the Nigerian military eclipsed the doomsday on Nigeria and the credit goes to President Buhari and his Service Chiefs for the wonderful and commendable outing. Previous Post Previous post:Coast Guard Boat Ideas : Damen, FCS 5009, patrol vessel. Next Post Equitorial Guinea Challenges Nigeria as Dominant Naval Power in the Gulf of Guinea.